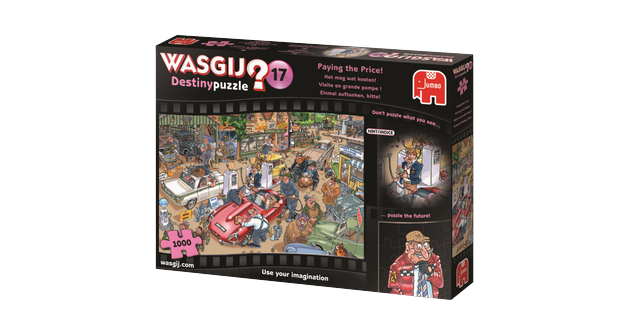 My mentally retarded brother got himself the below puzzle below. It’s a tad too much complicate for his IQ of ~50 as his ability for relative time is very very limited, so he cannot make most transitions from “then” to “now. 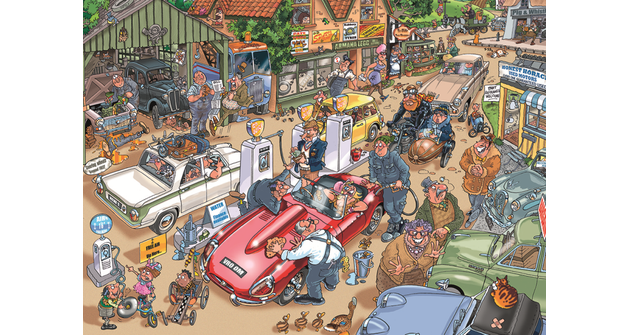 Imagine how the petrol station might look today. The cars will have changed, the fuel will have increased in price, but what about other things? Imagine the differences, and the similarities, between then and now.This is the scene you have to puzzle. 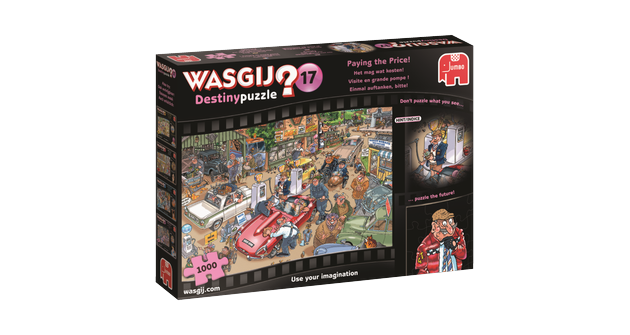 Luckily, I found Wasgij destiny 17 – YouTube who had the solution image and mailed it to me. Now my brother can finish his puzzle: he is so exited! This entry was posted on 2017/12/26 at 15:00	and is filed under LifeHacker, Power User. You can follow any responses to this entry through the RSS 2.0 feed. You can leave a response, or trackback from your own site.